Unveiled by HRH Prince Philip on 14 November 2007 and dedicated to the men who lost their lives on HM destroyers during the 1939-45 war, the National Destroyer Memorial at the Historic Dockyard Chatham consists of two adjacent parts. HMS CAVALIER a World War 2 destroyer is alongside and permanently moored at the Historic Naval Dockyard Chatham and is dedicated to the 142 RN destroyers sunk in World War 2. A few steps away is a massive bronze wall sculpted in high relief by the renowned Kenneth Potts. 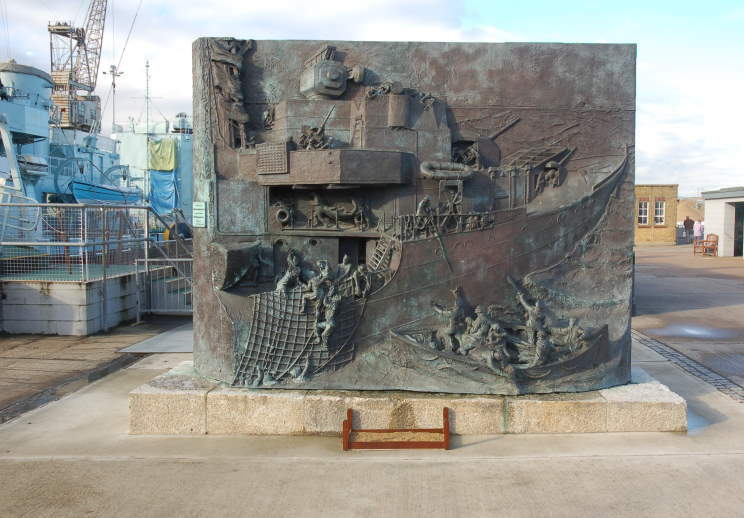 This wall shows a destroyer engaged in the sort of activity experienced by so many in the vastness of the North Atlantic including rescuing survivors. 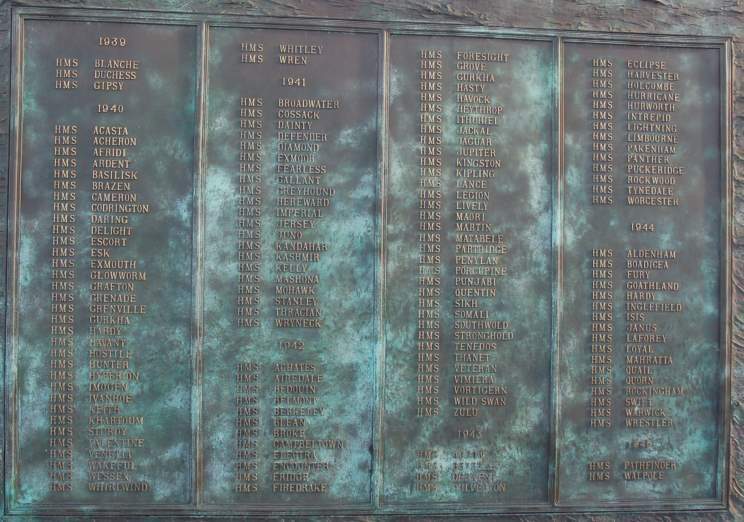 The Roll of Honour not only lists the RN ships lost but also records the sacrifices of British, Dominion, and other Allied destroyers lost in that war. Overall view of the National Destroyer Memorial. HMS Cavalier D-73 can be seen to the left. 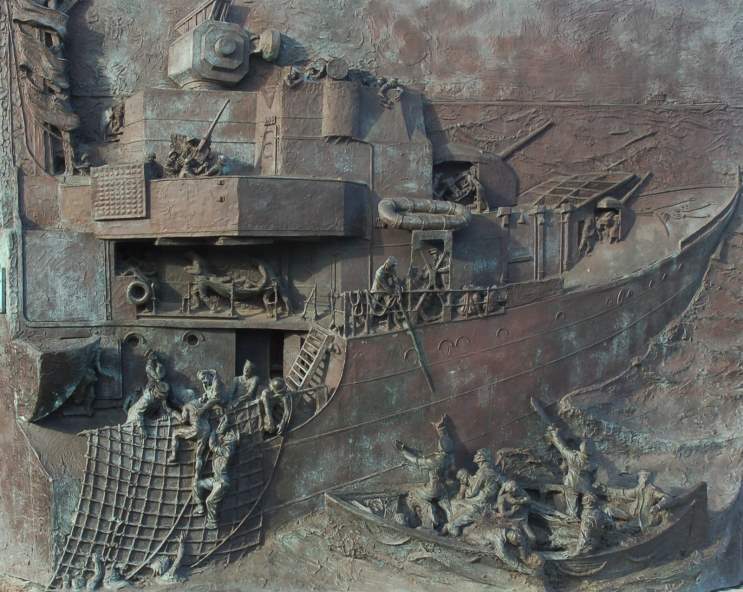 Close-up of the National Destroyer Memorial. 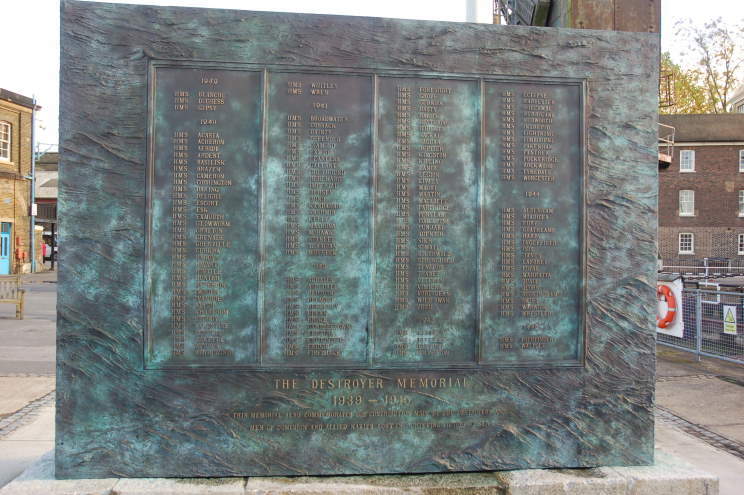 The back side of the National Destroyer Memorial listing the 142 destroyers lost in the Second World War. Close-up of the destroyer names. Close-up of the dedication inscription.